If your skillet or wok is too small do them in batches so you can get enough heat. 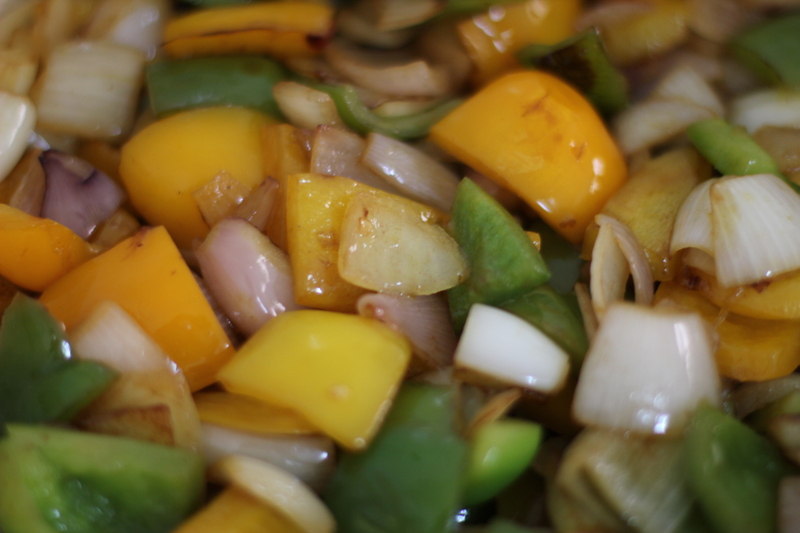 Once these vegetables are all in the pot add the tomatoes, peeled , seeded and roughly diced, the garlic, finely chopped and the salt and pepper. Add one cup of water and bring to the boil. 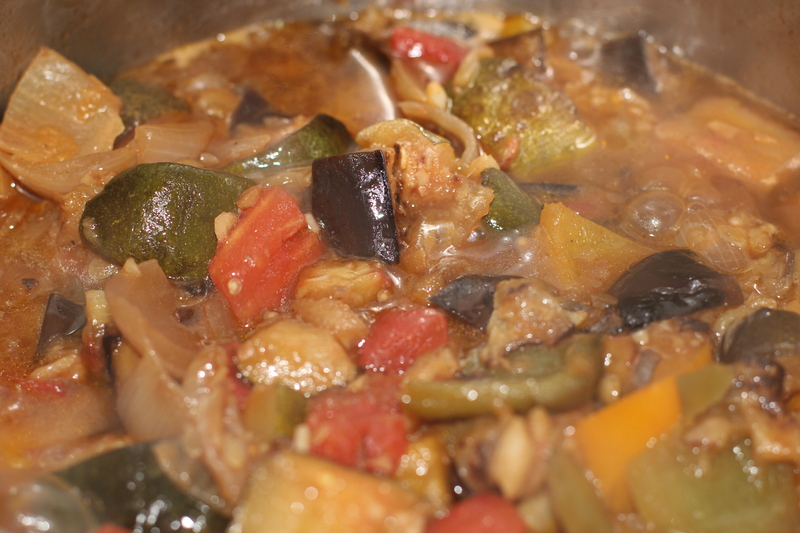 Lower the temperature to very low, cover and simmer for an hour. Remove the cover and simmer for another 30 min until most of the liquid is gone. 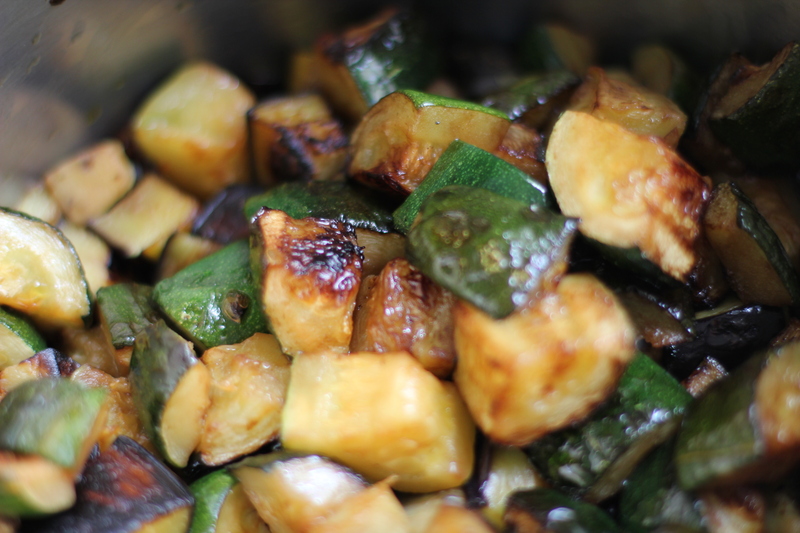 The vegetables should retain their shape even though they are cooked for a long time. 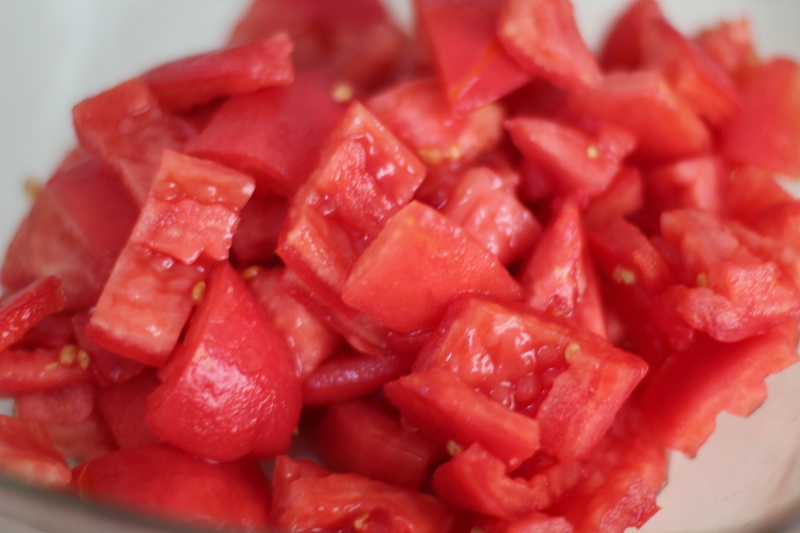 This is often served as accompaniment but is also served on its own with crusty baguette, rice or pasta. It can be served warm or cold and is even more delicious the next day so don’t throw away the leftovers. Tip: To peel tomatoes score a cross in the end and plunge in boiling water for a minute. Then plunge in cold water. The skin should peel easily now. Thanks for your compliments. This is a very popular dish in the Med and several versions exist. In Sicily and Malta there is Capunata while in Spain there is Pistou. 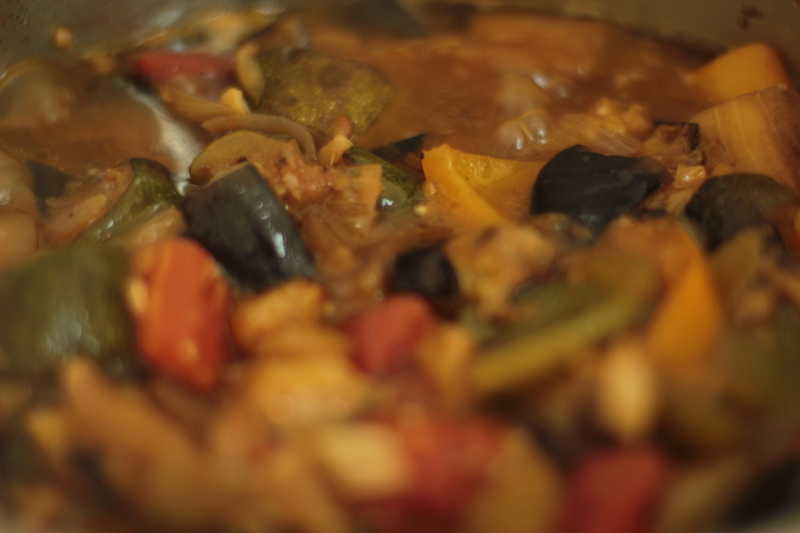 What distinguishes the traditional French Ratatouille in my opinion is the cooking of the vegetables separately, which helps them stay whole during the long slow cooking, causing the flavours to mingle in the most delightful manner. I like your take on this recipe, the chickpeas would give a nice nutty taste and the sweet potatoes look mouthwatering. I will definitely try it sometime as those vegetables come in abundance in our part of the world and we’re always looking for new flavours. Maybe a hint of cumin? Nice one!